CENTC’s summer schools feature pedagogical instruction and mini-workshops covering topics related to innovation in catalysis. Each summer school has a different focus within the field of catalysis and brings together experts in academia, industry and government labs to address applications of catalysis at the frontiers of modern chemical research. An informal format promotes interactions among participants and between participants and speakers. The 2015 CENTC Summer School, "Bringing New Technologies to the Marketplace" featured pedagogical presentations by a diverse group of professionals and focused on the process of innovation in catalysis and chemical sciences from basic research to market. Two case studies were be discussed and mini-workshops on proposal writing and intellectual property and patents were featured. The 2013 CENTC Summer School, "Enabling Sustainability and Innovation Through Catalysis," emphasized the process of innovation in catalysis and the chemical sciences from basic research to market. Prominent chemists and chemical engineers provided pedagogical instruction on catalysis, life cycle assessment, commercialization and innovation. Mini-workshops on proposal writing and intellectual property and patents were also featured. "Emerging Perspectives in Catalysis" was held July 19-22, 2010, at the University of Washington in Seattle. The program emphasized future purposes, techniques, challenges and career opportunities in catalysis for the 21st century. Energy, a primary impetus for research funding and employment in catalysis, was the focus of presentations by prominent researchers from industry, research universities and national laboratories. In addition to instruction in catalysis, small group workshops on funding and outreach were featured. 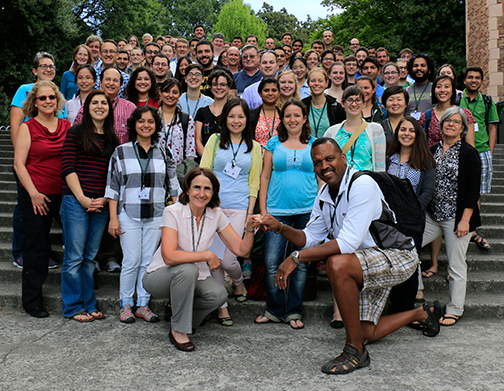 The 2008 CENTC Summer School on Organometallic Catalysis was held July 20-25 at the University of Washington in Seattle and focused on recent advances in organometallic chemistry and related disciplines, such as enzymatic catalysis. Instructors were from industry, academia and government labs and have been directly involved in recent discoveries and commercialization of processes using organometallic catalysts. Advanced students, early-career researchers and faculty members from CENTC and from the broader chemical community attended and learn about the interrelations between different kinds of catalysis and how to employ catalysis as an approach to complex problems in chemistry. Are you using these videos as supplemental material for a class?